Maintain optimal oral health has a number of major benefits. People with good oral health are less likely to develop toothaches, gum infections, and other painful mouth conditions. Good oral health is also key to having good breath and keeping your teeth strong and healthy, providing you with a bright, vibrant smile. Good oral health has even been linked to a decreased risk of developing heart disease and other serious ailments. What follows is your guide to optimal oral health. Unsurprisingly reaching optimal oral health begins with establishing good oral hygiene. Brush your teeth three times a day, ideally when you wake up, before bed, and at some point during the day, such as after lunch. 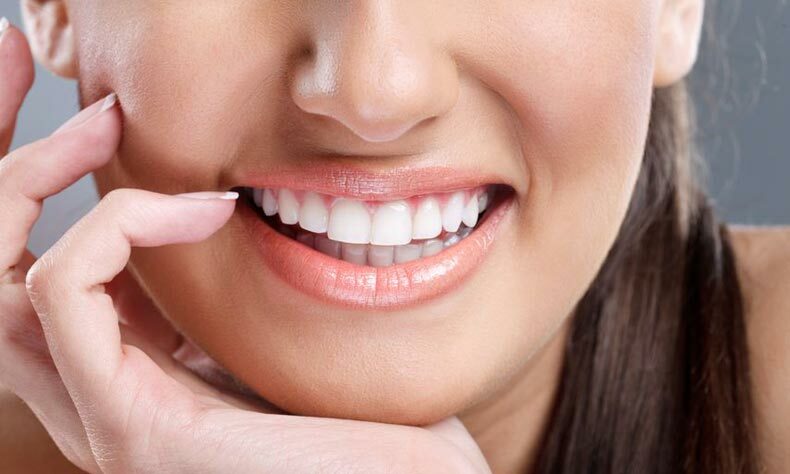 Get in the habit of flossing daily too. According to a 2010 study by the American Dental Association slightly more than half, 50.5%, of Americans floss daily. Make sure that you are in the half that does floss to optimize your oral health, fight tooth decay and bad breath, and prevent gum disease. The next major step you need to take for optimal oral health is to receive regular dental care. According to the same study cited above over 10% of women and 25% of men do not have a dentist. This puts these men and women at greatly elevated risk of losing their teeth to advanced tooth decay, and of requiring much more serious dental procedures down the road to avoid dentures and serious complications. Start by finding a qualified dentist that you feel comfortable with. If necessary visit multiple dentists until you find one who puts you at ease. Being anxious about dental visits will only make you more likely to skip or delay appointments. Once you have a regular dentist make sure to go in for checkups and cleanings every six months. Also contact your dentist right away if you are having chronic pain, suffer trauma to your teeth, or lose any dental work such as fillings, crowns, or bridges. Eating a diet of nutritious foods is one of the most important things you can do for your health as a whole and your oral health is absolutely no exception. A healthy diet can help prevent tooth decay and gum disease and will ensure that your teeth have the vitamins and nutrients they need to last a life time. For example protein, calcium, phosphorus, iron, zinc, vitamins A, B, C, and D, folate, omega-3 fats, and antioxidants all play an important in tooth structure, mucosal and connective tissue development, immune function, and inflammatory response. If that seems like a lot to remember don’t worry and don’t get overwhelmed. For the most part a tooth-healthy diet is in line with the same typical recommendations for a healthful, nutritious diet that you have probably been receiving your whole life. Make sure to eat plenty of fruits and vegetables, get an adequate source of protein and healthy grains, and keep fats, especially saturated fats and trans fats, to a minimum. Just know that not only will you be helping your body feel great and look its best, you will also be helping to maintain your teeth, gums, and oral health. One thing that surprises many patients is that oral is closely tied to general health. Recent studies have linked gum disease and heart disease. Meanwhile some oral health problems could be symptoms of other diseases. This means that in order to maximize your oral health you need to safeguard your health in general and adapt a healthy lifestyle. Meanwhile the steps you take to preserving your oral health may also have a spillover effect on your health in general. Finally, it is important to take oral health problems seriously because they could be warning signs of serious illnesses or health conditions. Tobacco use is one of the worst things you can do for your oral health. Whether you are smoking cigarette, cigars, or pipes, or chewing tobacco, subjecting your mouth to tobacco and the associated toxins is very bad for your oral health. Using tobacco promotes both tooth decay and gum disease. It is also bad for your breath and will stain your teeth yellow. Finally, as stated above your general health and well being are all interrelated and tobacco is a known carcinogen and contributor of heart disease. An often overlooked component of good oral health is safety and a safe lifestyle. Physical trauma can result in cracked, chipped, or lost teeth. It may also loosen or break dental work. Physical trauma may also cause internal damage to the tooth which may manifest as discoloration. Thus a key way to protect your oral health is to avoid situations that could result in trauma or accidents. At Weaver-Jayne DDS we are deeply concerned about our patients’ oral health. We will always take the time to discuss oral health concerns with you and will provide you with advice, information, and resources for improving or protecting your oral health. Please don’t hesitate to ask us oral health questions.